Invisible management allows a few loudmouthed barmaids to converse with their local mates - to the detriment of customer service and efficiency. Home to a band of regulars - individuals who sit daily in the same chair. Virtually all day, drinking the same beer - and eating before they leave. They meet their friends and keep warm. A series of little social clubs really. Wetherspoons now have a significant place - in the lives of many. The last 4 posts were written by the same person. Complete saddo. He has to talk to himself because he has no friends. Until relatively recently, there were five pubs in the centre of Redhill - now there are two; and the Sun trades for 4 hours before its sole competitor even opens - and well after it closes! Not just a pub - it serves breakfasts, morning coffees, lunches, afternoon teas, dinner etc. And it's busy throughout the day - with locals and shoppers (a massive new Sainsbury's is just opposite). Food and beer are of good quality and the place is well run. Six nations rugby will be shown - as are other major sporting events. In this area - there is no busier pub/restaurant. 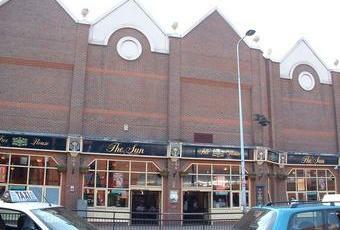 Pleasant Wetherspoons adjacent to large supermarket and town centre shops - with a betting shop next door. Redhill has excellent transport links and this pub is busy all day - with only one other pub in the town centre. Food and beer are good, and the staff friendly and efficient. Perhaps the busiest pub in east Surrey.